Whether you’re a frequent flyer or have a one-off stint for work, you’ll know that business trips are very different to a holiday away. Picking out your hotel, booking your flights, packing your suitcase… while these tasks are usually met with excitement and enthusiasm, they become part of your weekly grind when work is the itinerary. 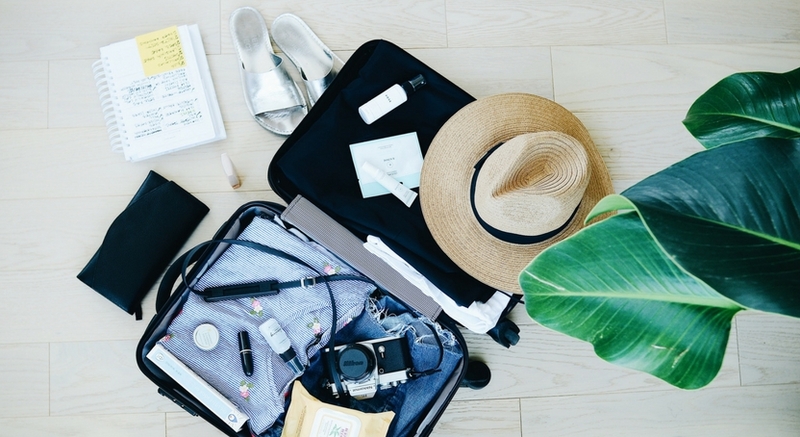 Travelling for work can be tough; time zones, meetings and eating out can interrupt your usual routine and mess with your body clock, not to mention the stress of constantly living out of a suitcase. Staying healthy can be hard, but it’s not unattainable. Sticking to some simple healthy habits whilst you’re travelling for work (or pleasure) can reap benefits in the long run. Here are our 8 top tips for staying healthy on your next business trip. If you’re a snacker, you’ll know it’s hard to find healthy snacks on the go, let alone while travelling. Pop by a supermarket when you arrive and pick up some healthful snacks – think unsalted nuts, fresh fruit or even some tinned tuna. These snack options will not only keep fresh and last for a few days on a business trip, they’re also healthier, satisfying and cheaper options than vending machine or café quick fixes. Whether it’s plane meals or compliments in your hotel room, just because you’re offered food, doesn’t mean you should take it. Listen to your hunger cues and don’t eat if you’re not hungry. Pack water and healthy snacks for your flight so you’re not tempted by those salty chips, nuts and sugary drinks floating up and down the aisles. The same goes for meetings and conferences– all those biscuits and cakes can lead to extra kilojoules that will add up if you’re spending the day sitting! This one can be tricky! It’s likely you’ll be eating out several times a day on a business trip. While it’s important to enjoy your time out, it is also helpful to keep those rich foods in check to avoid undoing your healthy habits from home. Aim to choose the healthiest option that’s available, even if it’s not the perfect option. Some good pointers are to opt for meals that are baked, roasted or sautéed rather than fried, and avoid creamy sauces. To bulk up your meal, ask for extra veggies for your daily dose of fibre and essential nutrients. Think veggie omlettes for breakfast, salads and soups for lunch, or split a main with a friend for dinner and order a side of veggies instead. After all, life’s all about balance! Plan when you’ll have that after-work drink or extra treat with your morning coffee. This way, you can look forward to the occasional indulgence without overdoing it. In fact research suggests that the more you restrict yourself and put certain foods off limits – the more you crave the food! One of the most important healthy habits. Always carry a water bottle with you, no matter where you’re going. Keeping up your fluid intake will help your body to always function at its best. This will also help you avoid reaching for calorie rich soft drinks or energy drinks, which don’t do us any good. Having a routine of physical activity while travelling can help establish regularity in the midst of the routine shakeup. Check in advance if your accommodation has a gym, or search up local gyms, parks and routes for a jog or brisk walk. Whether you’re a morning person, a lunchtime fitness warrior or an evening gym go-er, make sure you fit in some fitness. Resistance bands and skipping ropes are handy, light-weight tools to keep excess baggage fees at bay. You’ll also have no excuse to skip your sweat sesh, even without a proper gym, you can do plenty of exercises in your hotel room with these simple equipment and your own body weight! We all know there’s not much to do at an airport. Instead of sitting around or eating the departures lounge out of boredom, why not get your steps up and do some laps around the terminal? And there you have it! Our eight simple tips to staying healthy on a business trip. We’d love to hear how you stay healthy on your business trips – please comment below or tag us in your travelling posts @thebitingtruth!